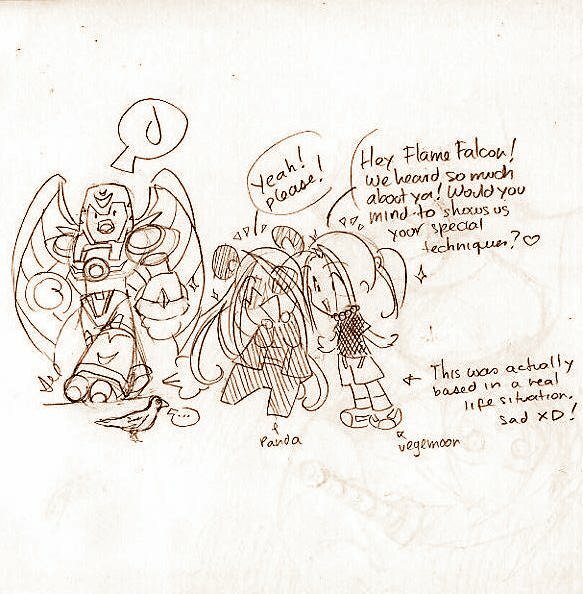 Flame Falcon meets two reckless girls. How is this gonna end? Do your best guess =D Nice chibi artwork. Hm... let me guess... he wouldn't really want to do it, but just for them... ^^ hee hee!